The officially licensed Remington Rangemaster Rifle Rest features adjustable height, rubber coated rests for the fore end and buttstock and rubber feet to prevent slippage. 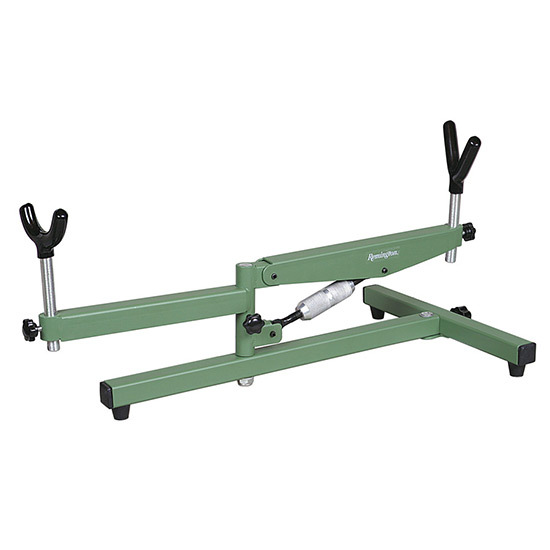 Rest comes complete with a vise clamp system for use on the work bench. Quickly takes down and folds for easy storage. - Dimensions: 22.70" x 5.15" x 2.85"